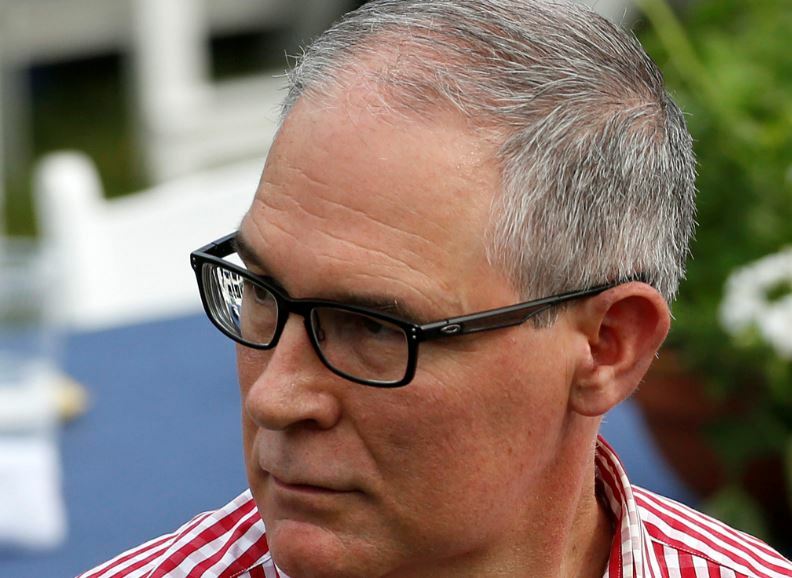 The Trump administration is postponing former EPA Administrator Scott Pruitt’s plan to end his agency’s use of so-called secret science to craft environmental regulations until 2020, The Washington Post reported Thursday. Pruitt’s proposal would allow the EPA to only consult studies when the underlying data used to craft a rule is made public. The former EPA chief unveiled the measure in a speech at the EPA’s Washington headquarters in April as Republican congressmen looked on in approval. Pruitt, who resigned in July amid multiple accusations of ethics violations, planned to reverse long-standing EPA policy allowing regulators to rely on non-public scientific data in crafting rules. Such studies have been used to justify tens of billions of dollars-worth of regulations. EPA regulators would only be allowed to consider scientific studies that make their data available for public scrutiny under Pruitt’s new policy. After approval from the White House, EPA-funded studies would also need to make all their data public. Environmentalists were happy to see the Trump administration push back the proposal. “It’s great that they’ve slowed down the steamroller a bit, and I think the EPA was a bit surprised by the vehemence of the opposition from scientists,” Michael Halpern, deputy director of the Union of Concerned Scientists‎’ Center for Science and Democracy, told reporters. Trump’s plan to bail out the coal industry is also getting shelved as White House staffers are pushing back on the Department of Energy’s mission due in part to financial concerns. DOE Chief Rick Perry spent more than a year pushing various plans designed to prop up a moribund coal industry. One of the biggest impediments is Perry’s proposal designed to keep aging nuclear power plants operating, which has riled up the oil and gas industry. DOE struggled to provide details on which plants would receive funding and who would pay, Politico reported Tuesday. The lack of details caused the NEC and NSC to cool on the idea of intervening in electricity markets.